Laura Cowling, graduate in Business Management with Marketing, returned to Brighton Business School to share with current students what life is like on Hewlett Packard’s graduate scheme. After completing a year’s work placement at Hewlett Packard (HP) as part of her degree. 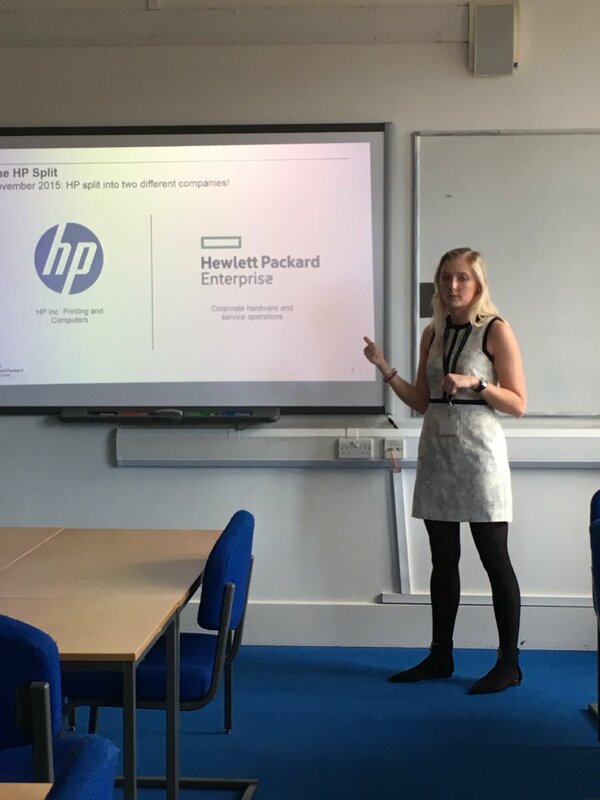 After graduating with a first in 2015, Laura joined their Hewlett Packard Enterprise graduate scheme.